Trend Micro's Chief Technology Officer Ed English, who recently equated net-browsing activities to aviation stated, "When you are thinking of flying overseas, you should confirm that your passport has a minimum six months validity from the date of your outward journey. CIOs (Chief Information Officers) should view sites similarly. They should be aware about the duration for which domains have been extant, the number of times they were shifted and duly curb workers from visiting these according to news issued on April 30, 2007 by Net4now. So far, both general and corporate infotech users were cautious about opening spam e-mails owing to the apprehension that they may include malware. However as malevolent program risks transform and develop, just accessing a site is progressively compromising clients. 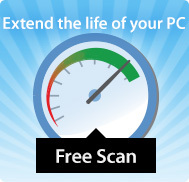 Several Internet sites have possibly risky downloaders, which fix themselves on the client's computer surreptitiously. After implanting themselves, they can snoop and rob the access code and also attack the client with trained spam. This has far-reaching consequences, especially for corporate clients who surf countless websites every day in their line of work. For instance, in picture -implanted junk e-mail, the whole unsolicited email is created and sent as a picture, implying that anti-spam filters can't identify private terms, idioms or websites. 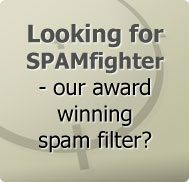 Spam filters are keeping pace with spammers and becoming more intelligent, in a continual battle of arms where the spammers are ahead. Spam constituted about 43 per cent of total emails conveyed in 2003, however by beginning of 2007 this amount has shot up to an astounding 92 per cent. "Several activities have been witnessed on social interaction sites like MySpace and You Tube recently. Users visit trendy sites and wind up transferring a Trojan horse unsuspectingly whether at back home or during their lunchtime in office," stated Paul Ferguson, Trend Micro's Chief Security Architect, according to reports released by Net4now on April 30, 2007. Ed English cautions that organizations should be vigilant about their policy support regarding net browsing. CIOs should refrain employees from opening links from risky sites and pressing "unsubscribe" - as this recognizes the client and his site as an exposed prey.